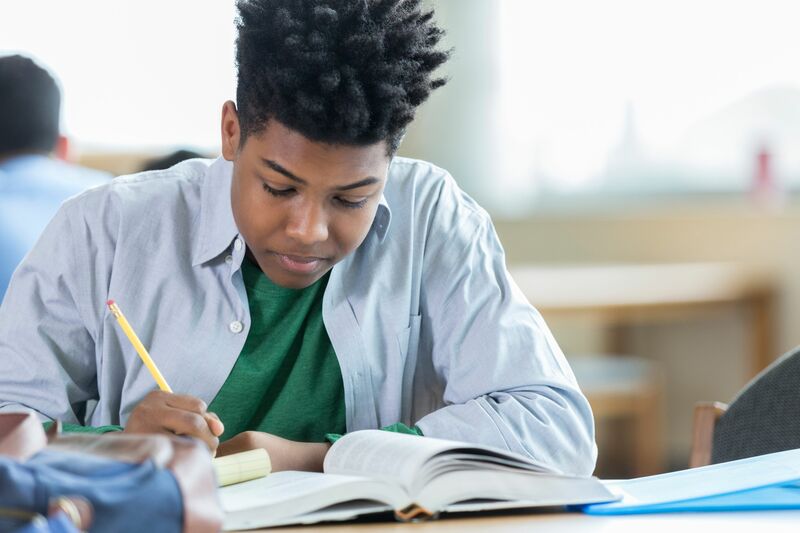 Three Montessori-inspired strategies high school teachers can use to foster students’ independence and engagement in learning. Maria Montessori founded the Casa dei Bambini on several crucial principles: fostering kids’ natural desire to learn, using the surroundings and environment to educate, and encouraging students to be independent learners. When I discovered Montessori’s theory, I was fascinated by the strategies used to captivate young learners and stimulate their minds, and I knew I would want to embody her principles as fully as possible during my teaching career. However, as I was headed into public high school education, my options for working at a Montessori school were slim. So I decided to integrate Montessori’s teachings and theory into my daily practice. As a 10th-grade English language arts (ELA) instructor, I have found the following three strategies to be most helpful in covering the requirements of public school education while maintaining my students’ independence and fostering their creative freedom. Using checklists is a simple in-class strategy that allows students the freedom to choose the order and amounts of time in class they need to spend on assigned tasks. Teachers might choose short single-day checklists or allow students to use the same checklist over the course of a week’s classes, but I recommend introducing this strategy slowly, especially at the 9–12 level. Using effective modeling techniques, as well as releasing responsibility slowly, provides the scaffolding necessary to make this a worthwhile strategy. Journal half a page on the following prompt. Complete one-on-one readers’ conference with Ms. Tempus (2–3 minutes). Watch Youtube video posted on Schoology (7 minutes) and complete attached discussion board. Read choice book and complete Reader Response Journal. In Montessori schools, no child plays at anything that can be done with actual tools. Montessori classrooms are typically filled with developmentally appropriate tools, such as brooms and hammers, to allow children to complete meaningful work. While we in general public schools do not usually have the facilities to allow our students to cook and clean for themselves, we can provide them with an environment that stimulates their interests and create experiences that engage them outside of the classroom. Assessments, as many teachers would attest, often garner increased attention when students are provided with an audience outside their classroom. When we publish student work online; create partnerships with political representatives at the local, state, and national level; or invite local community organizations in, students are able to better apply the skills they are building in the classroom to relevant real life work outside of it. My students practice a variety of skills in a formative assignment. For instance, last year they researched, wrote, revised, and sent out close to 150 letters to their representatives in Congress. Not only did they see the value in addressing an audience other than their teacher, but they received signed, personalized responses. Prescribed curricula, scripted lessons, and state standards can far too often put constraints on public school teachers’ ability to brainstorm unique and stimulating activities for students. However, with small tweaks, we can utilize the Montessori approach to student choice in our classrooms while still fulfilling the requirements set forth by our administration or government. “The child,” Montessori wrote, “has a mind able to absorb knowledge. He has the power to teach himself.” In keeping with that spirit, allowing students to demonstrate their knowledge in a variety of ways gives them more ownership over their education. While opening up student choice in assessment may seem daunting, if you use specific language borrowed from the Common Core State Standards or your state’s measures, the possibilities are endless. Using general terminology on rubrics allows students to exercise their creativity. For their end-of-year portfolios, I asked my students to create a project that answered several prompts and reflected their progress. While some of them, after a year of daily writing, gravitated toward a reflective essay, plenty of them found inspiration in graphic representations, Prezis, children’s books, or letters to the next year’s sophomore class. Because my rubric simply asked for answers to certain questions and was aligned to specific reflective writing standards, each of these projects met the requirements while still fostering creative student expression and independence. Montessori’s ideas and theory live on through the 7,000 institutions worldwide that bear her name. Certainly, Montessori’s goals are common ones for many educators: engage students, create lifelong lovers of learning, and foster their creative independence. Educators in K–12 public schools may be interested in utilizing the strategies described here in order to embed Montessori’s alternative (and even subversive!) ways of educating our youth. For my own students, these are the first steps we take to make our classroom an environment in which Montessori’s goals are always within our reach.